Experience Gatlinburg! The Redwood Retreat is a freshly remodeled historic home in the heart of Gatlinburg’s most popular area. Located a short distance from Gatlinburg's Space Needle, this luxuriously appointed cottage that sleeps 7 or more people is an easy 4 minute walk, on level ground, to the Convention Center, Ripley’s Believe It Or Not, Old Smoky Moonshine, Starbucks and everything else the main parkway of Gatlinburg has to offer. You can even walk to the Great Smoky Mountains National Park in about 15 minutes. Historic Charm: This home was built in 1934, throughout it's life it has been a private home, an over night vacation home and a long term rental home. At one point the head of Gatlinburg's Garden club lived here, we suspect she planted the tree you will see about a foot outside the front window. Originally there were a number of homes just like this one in this neighborhood. Most were demolished but one was so well loved that it was detached from it's foundation, loaded on a truck and taken to the owners larger property in Sevierville. This one has survived. Its former owner kept it well maintained so when we bought it we were able to live in it as our primary home for about a year. During that year, we learned what we loved and what we wanted to change; though the home was well maintained it was was also very outdated and had accumulated a lot of wear and tear over the years. After walking downtown for coffee, food and entertainment almost every day for a year, we decided that this home was something we needed to share with others who love the Smoky Mountains and Gatlinburg; the location was just so perfect that we felt obligated to share it. So we bought a small 'fixer' in Sevier County, made it livable and moved in. Then the work on the Redwood Retreat work began. Months and many dollars later it was finally ready for your arrival. We did our best to maintain the historical charm of this cottage while making it a luxury getaway fit for discerning travelers. It took me months to figure out what kind of tree this is because it's not a common tree of the Smoky Mountains. It is a Costal Redwood. It is the same tree that has huge parks dedicated to it in California. It just so happens that the Smoky Mountains, with their high humidity and frequently misty conditions provide a great climate for the Costal Redwood. Needless to say, we think the tree is just wonderful. It will eventually encroach upon the house, and that is just fine as there are plenty of techniques that we can use in the future to maintain the house alongside the tree; for now we just want you to be able to enjoy the 'Redwood Retreat' tucked beneath its boughs. 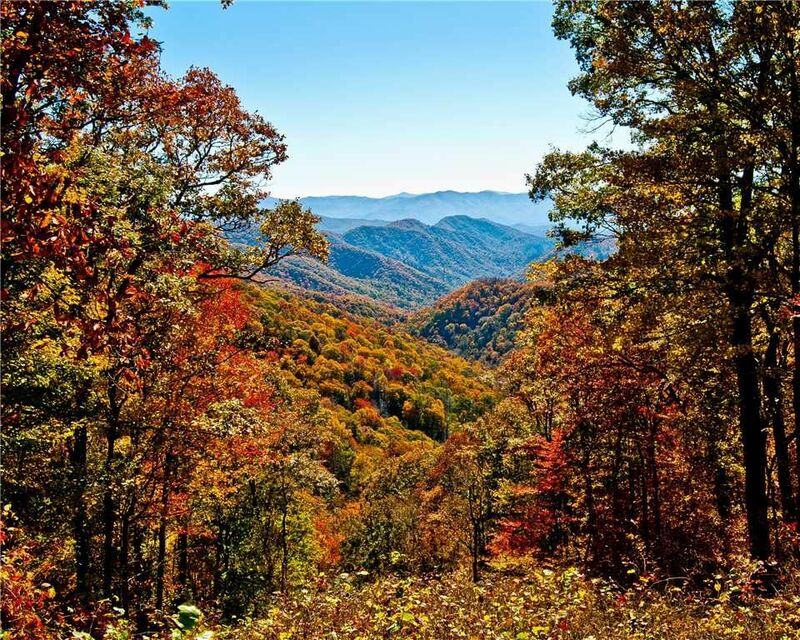 Gatlinburg Tennessee is the gateway to the most visited National Park in the United States. Like any other popular vacation destination, there are 'places to go' and 'places to be'. When choosing a vacation home it is nice to get an overview of both. Admittedly we are partial to our area, and of course we think it is the very best in all of Gatlinburg. But other areas around town are wonderful as well. The Aquarium district is anchored by Ripley's Aquarium of the Smokies and the bustling corner of River Road and the Parkway. East on Highway 321 is the old hotel district with Alamo Steakhouse and the Food City supermarket. Ober Gatlinburg ski area is 'up on the mountain' with various chalets and private homes. All of these areas are destinations for adventurers and traveler's as 'places to go', but the most visited and vibrant area of Gatlinburg is Stoplight 8--the 'place to be'. The area around stoplight 8 used to be known, and is still known by seasoned locals as "Rebel Corner". New luxury hotels are opening in this desirable area. The Moonshine distilleries are a destination for curious (and daring!) fun seekers. Paula Dean, Bubba Gump, Starbucks, Dicks, Mellow Mushroom, Loco Burro and the iconic Space Needle all occupy the 'Times Square of Gatlinburg' - Stoplight 8. The Redwood Retreat sits just far enough from all of this bustling fun to be walkable and escapable. An easy five minute stroll back to the Retreat puts our guests in a whole different world when its time to unwind and enjoy nature in luxury. It is the most unique vacation home setting in all of Gatlinburg. Come enjoy the fun of walking all of Gatlinburg from your luxury vacation home in the Smokies --The Redwood Retreat!